In our Austin area showroom, people who want a unique vehicle that drives well in the city and provides an affordable option often turn to the Kia Soul. For under $20,000 you’re getting a sporty compact that gives you some versatility, and many different standout technology features. Now, the Kia Soul is upping the power. The 2017 Kia Soul Turbo gives us this power, and it comes with 201 horsepower using a 1.6-liter turbocharged inline four engine, which is certainly quite a bit of oomph for a vehicle in its segment. This added power and responsiveness gives you some more thrills with your vehicle, but it also keeps many of the same features we’ve come to expect on the Kia Soul, including its standout fuel economy with 26 miles per gallon in the city and 31 MPG on the highway. Not only that, but you’re going to find many tech features like available Android Auto™ and Apple CarPlay™ among them, and get lots of value in the process. 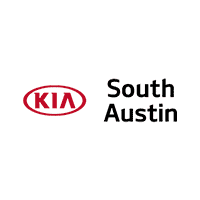 That’s appealing to many people, and it’s all the more reason you should check out what we have here at Kia of South Austin, as our team would be happy to provide you with more details, answer any questions you might have, and set up test drives at your convenience.